With mental health issues — such as depression — increasingly appearing on the radar, here’s how individual HR and business leaders can join the battle. Jerene Ang reports. Workplace-related depression has been cited as one of the top issues affecting productivity in Singapore and Malaysia, and while many organisations have plans to implement psychological wellness programmes in their organisations, an article I came across on The Guardian got me thinking if there’s anything more HR and business leaders can do combat the problem of depression. The article I came across earlier this month took extracts from Lost Connections: Uncovering the Real Causes of Depression – and the Unexpected Solutions by Johann Hari. 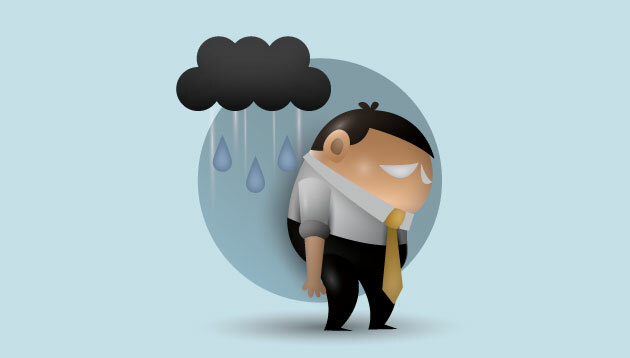 Citing a poll conducted by Gallup, Hari reflected that most of the depressed and anxious people he knew fitted into the 87% who didn’t like their jobs. To dig deeper, he spoke to Michael Marmot, an Australian scientist who, through studying civil servants in Britain, discovered that when people have no control over their work they are far more likely to become stressed and depressed. This is because as humans, we have an innate need to feel that we are doing something meaningful day-to-day, but when a person is controlled, he/she can’t create meaning out of their work. The author found a possible solution to that problem at a bike store in Baltimore named Baltimore Bicycle Works where decisions were made collectively and jobs, good or bad, were shared. While this solution might work in start-ups, making decisions and sharing jobs at an organisational level simply isn’t feasible in larger organisations. But that doesn’t mean the solution cannot be adapted. In larger organisations, instead of focusing on the organisational level, the focus should be narrowed to individual teams where each and every line manager can make a difference by giving the employees under them a sense of autonomy and control over their work. For example, when the Human Resources editorial team was planning allocations for our 2018 activity calendar, the various features, interviews and event responsibilities were evenly distributed among us – yes, that means that even though Aditi is our manager she gets the same amount of work to do. At the same time, everyone was able to share their preferences for the various feature topics and a decision was reached collectively. This helped give each member of the team a sense of ownership over the feature, interview or event we were assigned to. Additionally, our team has a very agile culture where we can easily come up with new ideas for stories and columns, and test it out as soon as a day later, which helps give us a certain level of autonomy over our work. Practices like this may be why, despite the print and publishing industry being listed as one with a high depression rate, our team is generally happy and stress-free – and if and when we do feel stressed out about a deadline, we talk about it and work through it together.